Killian Doherty’s collaborative film ‘Uppland’, made with director Edward Lawrenson, is about a Swedish ‘new-town’ in Northern Liberia. 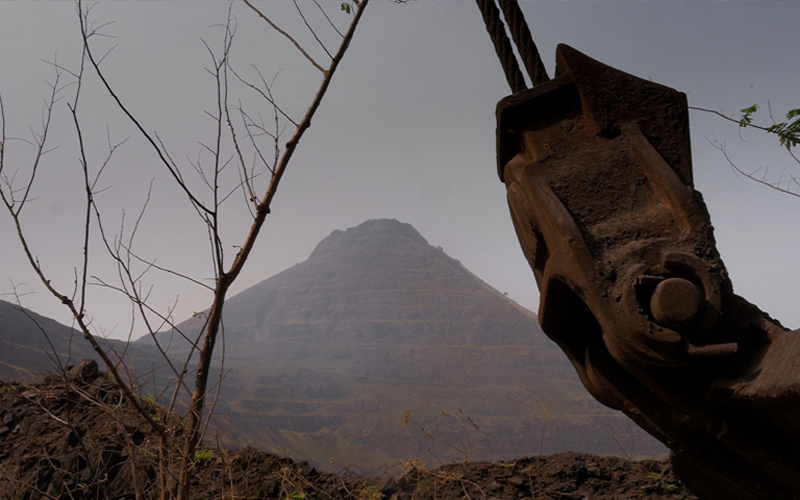 Having won 2015’s UCL ‘Open-City Docs’ collaborative film-grant, architect Killian Doherty and filmmaker Edward Lawrenson visited Yekepa, a remote new-town in Northern Liberia, designed and built by a mining company prospecting for iron-ore in the late 1950s. Yekepa emerged through Western investment in the natural resources of a ‘developing’ Africa, becoming a built symbol of utopian promise. It was a symbolism that voided local inhabitants’ claims to ancestral lands, leading to their eventual displacement. Killian Doherty and Lawrenson's research film traces, through the neo-colonial architecture and planning of the town, the complex relationship between land, displacement and the global extractive industries within, and beyond, Sub-Saharan Africa. Killian Doherty is a 4th-year (CRS) student on The Bartlett's PhD by Design programme. Funded by the Bartlett Architectural Research Fund, Open City Docs and the Arts Council of Ireland, this film frames Doherty’s PhD thesis, which engages with the cultural and spatial conflict of ‘development’ from indigenous forest communities’ perspectives within a modernising Rwanda. Edward Lawrenson is a Scottish film director and writer. His films have played at a number of festivals, and his 2015 documentary Abandoned Goods (co-directed with Pia Borg) won the Golden Leopard for Best International Short at the Locarno Film Festival. The film was selected as a World Premiere in the International Competition for Short Films at the 40th edition of the Cinéma Du Réel festival, held at the Centre Pompidou in Paris and partner venues, from 23 March 23 to 1 April 2018. The film will tour international festivals throughout 2018 and return to UCL in the near future.